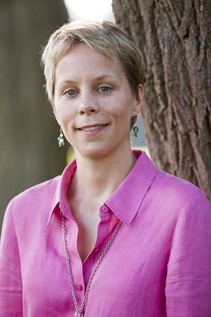 We'd like to welcome Augusta Read Thomas to the composition faculty of June in Buffalo 2013. We're excited to have her here for a week of masterclasses and concerts, beginning on June 3rd, when the JACK Quartet will perform her string quartet Rise Chanting, from Sun Threads. The rest of the week will feature several other works by her, including Caprice, for solo violin, to be performed by the Talea Ensemble, Carillon Sky for saxophone and small orchestra, to be performed by Ensemble Signal, and her recent Aureole, for orchestra, to be performed by the Buffalo Philharmonic Orchestra. Thomas is the recipient of a Lifetime Achievement Award from the American Academy of Arts and Letters, as well as an Ernst von Siemens Music Prize, and is currently the University Professor of Composition in the Department of Music at the University of Chicago. Talea Ensemble at June in Buffalo 2013!